Plant when signs are in the feet. At the time when many of the crops planted in the spring were gathered in and preserved for the winter to come, our attention was turned to a phenomenon that had fascinated us for some time – that of planting, harvesting, and conducting a number of other activities by the moon and signs of the zodiac. Its rules have been passed down so carefully from year to year that its practice bridges the gaps between the generations more successfully and more completely than most (p. 212, The Foxfire Book). 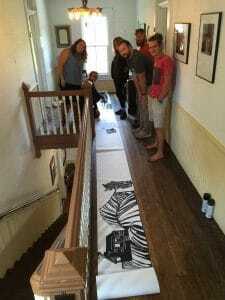 Lead artist Halie McCurley and her UNG classmates begin work on the “crankie”. The most surprising thing about the above excerpt might be that today, 45 years later, planting by the signs and the phases of the moon is still in practice. More surprising, and according to a number of biodynamic farmers, it turns out that this practice may be a very important key to a strong, vibrant planting strategy. If nothing else, it is certainly intriguing.So much so that last summer a group of Appalachian Studies students from the University of North Georgia decided to make it the centerpiece of a project they undertook as part of a regional consortium sponsored by the Appalachian Regional Commission. Their project explored how to create a sustainable Appalachia through cultural literacy and storytelling. Specifically, they translated the practice of planting by the signs into a work of interpretive art; something called a “crankie”. This Saturday, April 29, 2017, The Foxfire Museum and Heritage Center is holding a special free event from 1:00 pm – 4:00 pm in which UNG will present their “Crankie” (a moving, backlit panorama that tells a story) to Foxfire. 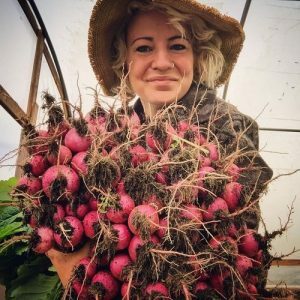 Additionally, the folks from UNG will be joined by Darby Weaver of Timpson Creek Farm, a biodynamic farmer who will be speaking about the role of moon phases in her approach to planting for her farm projects. Darby Weaver, Timpson Creek Farm. Following this presentation, guests will be invited to join members of Sustainable Mountain Living Communities in the Foxfire garden for a planting demonstration informed by that day’s zodiac. 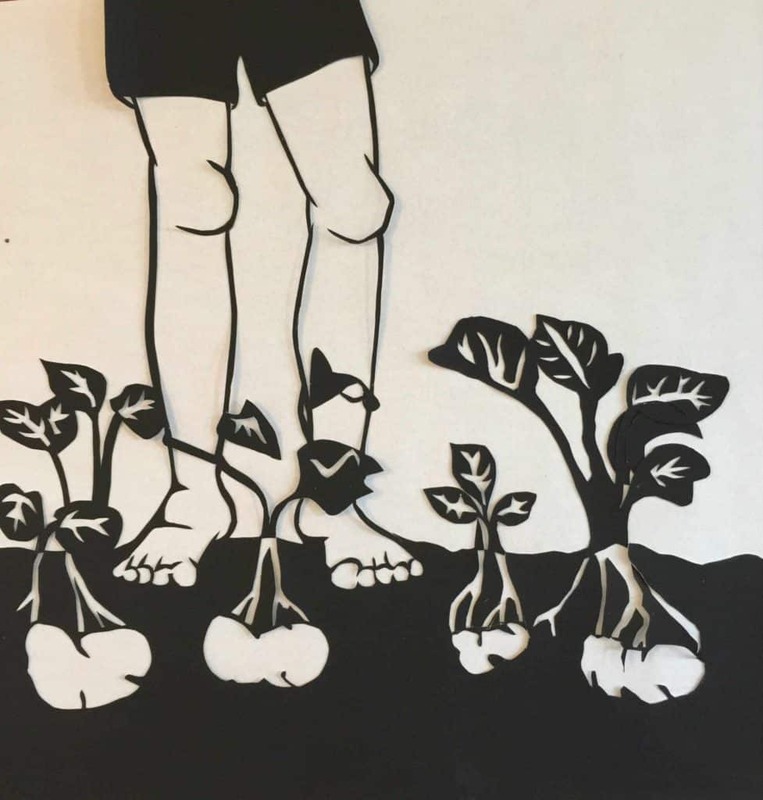 Guests will receive a sample of heirloom seeds from UNG’s Seeds and Stories project – a seed bank project being developed by UNG’s Appalachian Studies program. Space for this event is limited, so we are asking those interested in attending to reserve tickets here for you and your party. You may print off your ticket or simply have it on your smart phone. For more information, please feel free to call us at 706.746.5828 or email us at foxfire@foxfire.org.